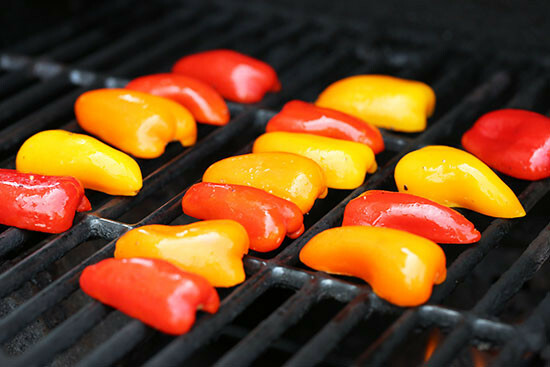 These mini peppers are grilled until slightly charred and filled with an herb cream cheese. 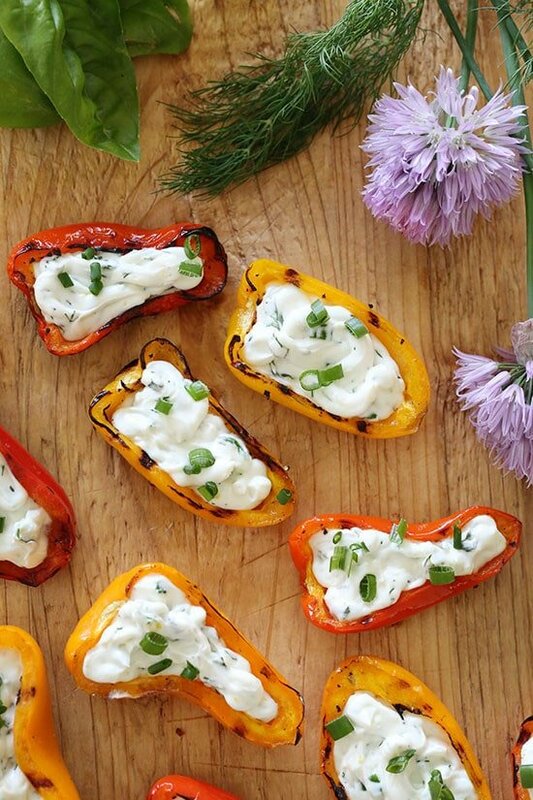 A great appetizer to make for the summer! 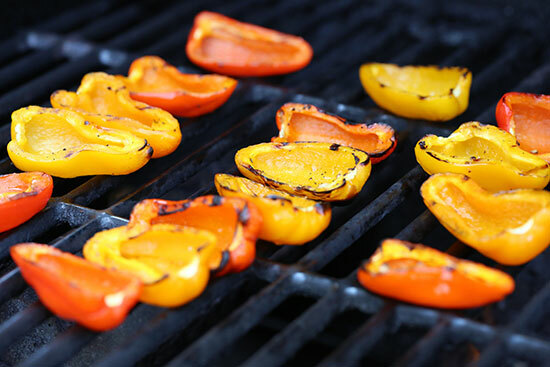 The peppers only take about 2 minutes on each side to cook, and they smell incredible as they begin to char. You can make them ahead and keep them chilled until ready to serve. 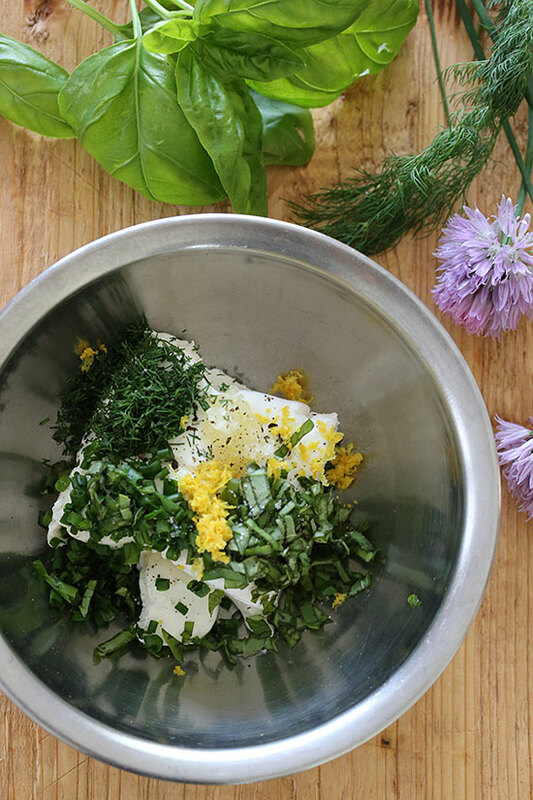 The herb cream cheese is so flavorful, with all my favorite garden herbs. You can use any combination you wish. Here I used dill, chives and basil with a little lemon zest to brighten it. 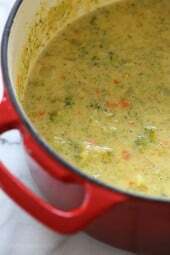 In another small bowl, thoroughly combine cream cheese, garlic, dill, basil, 2 tablespoons chives, fresh ground pepper, pinch of salt and lemon zest. 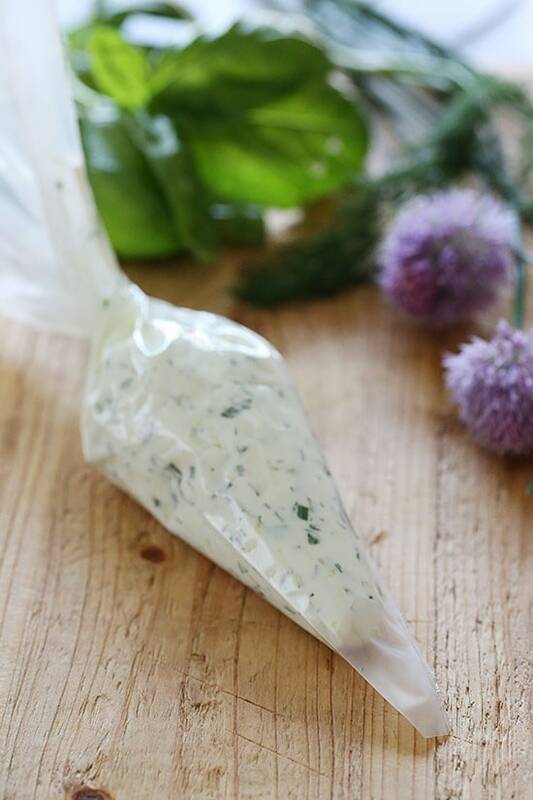 Transfer the cream cheese mixture to a piping bag or small Ziploc bag and put in the refrigerator until ready to use. Snip the tip of the piping/Ziploc bag and carefully fill each pepper half with the cream cheese mixture. Top with remaining 1 tablespoon chives. I make two versions of these, both we use what we have and grill either by a skillet cast-iron grill or traditional outside grill, or broil the insides and slightly roasted or browned. Remove, and flip if necessary. Fill the cavities with (a) green onions, shallots, lime juice, reduced fat cream cheese, reduced fat sour cream or yogurt, cilantro, and a little bit of pepper or (b) celery, lemon rind and juice to taste, salt & pepper to taste, crab meat, reduced fat cream cheese, and chives (either in the mixture or as a garnish afterwards). It’s a very versatile starting point and a great appetizer or party hors d’oeuvre. Also works great as an accompaniment to a cilantro-lime chicken, jerk pork, simple radish salad for the crab version, etc. Usually takes less or the same time as the main course. I want to make these for a potluck lunch at work but am worried they won’t be as good if I have to make them a night or two ahead of time. If my potluck is Tuesday do you think they’d be OK to make Sunday or Monday night? I guess I can always had the filling the morning of. Would it be possible to substitute greek yogurt for the cream cheese? HI! Can you tell me what i can substitute for Dill? I’m not a huge fan of Dill but I would like something that would go with the rest of the ingredients. Thanks! Do u serve these cold, or room temp? Need for party tomorrow but travel time is about 1:20! These look amazing! 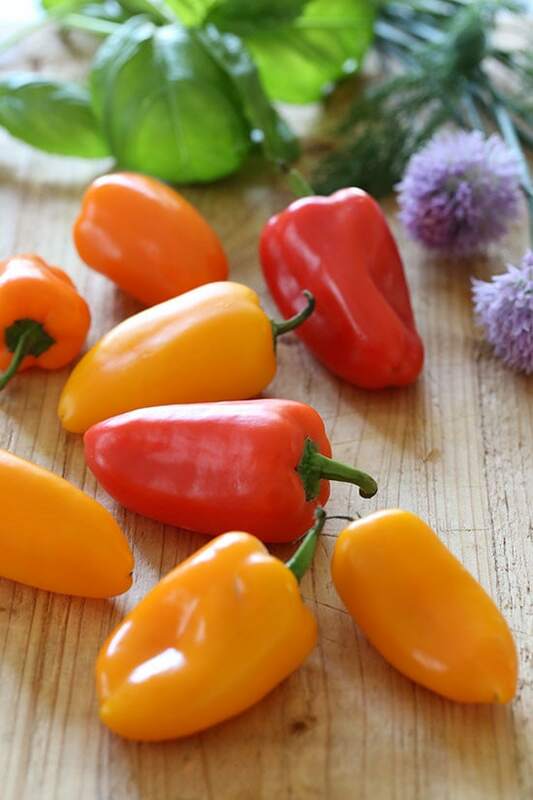 I love sweet peppers, so I cant wait to try these. I dont have access to a regular grill but I have a george forman. Would that work just as well? 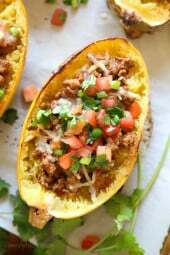 Has anyone tried these with raw peppers?? Yes at the in laws. They were room temperature. It would be great to read a comment from someone who actually made/tried these instead of gushing about the photo. I made these last night. I thought they were just ok. The cream cheese (I used reduced fat) was way too sweet for the peppers. The herbs, and especially the lemon zest, worked to mellow out the sweetness of the cheese a bit, but next time I will probably substitute goat cheese for half of the cream cheese. And I might even briefly broil the peppers after stuffing them, as the cold cheese was a little off-putting. I would love to make these! I dont have an outdoor grill or a george foreman, could I broil them? Or roast them in the oven? These look so good!!! Your photos are spectacular, I can taste your food right off the computer screen! I have recently developed a love for peppers but I have always loved cream cheese! I'm gonna have to give these a try! Are these best served warm or chilled. Thank you! This looks so delicious. We do not have an outdoor grill or a gas stove. Do you think this could work on a George Foreman? Granted, the peppers would not have the smoky charred flavor, but would it work otherwise? Yes it will work. My sister makes the best grilled asparagus on her George Forman grill. I'm thinking a side of these with a shrimp skewer or grilled chicken! 4 for 94 calories! Yum! 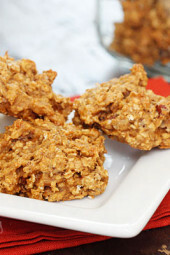 These look so good and would be the ultimate appetizer!